Everything is arranged for you, from the hospitality bookings to your departure points. There are many options below for entertaining your corporate clients and our friendly Operations team have over 18 years experience in providing a top-quality service dedicated to detail. This includes an exclusive VIP arrivals lounge during the F1 British Grand Prix that makes the perfect beginning to a marvellous day out. All you need to do is tell the Operations Team the size of your party and the times you want to travel and they will arrange everything else. This is the ultimate way to entertain your guests, treating them to amazing panoramic views, a relaxed atmosphere, great food and the F1™ British Grand Prix action. You’ll receive a quick and detailed response from our friendly Operations Team who will ensure that your helicopter charter matches your itinerary and needs. Everything will be arranged for you and your guests. 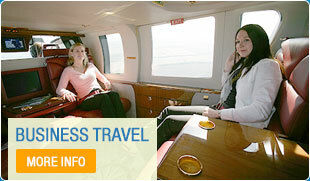 From hospitality options and hotel reservations to the in-flight catering and chauffeured transfers. Once the Operations Team has your plan, they will implement the most convenient itinerary and with their experience at your disposal, you can be assured that your guests will have the best experience possible. To book your Silverstone hospitality package and charter please call our friendly Operations Team on 0125 663 5000.